Item # 313338 Stash Points: 1,995 (?) This is the number of points you get in The Zumiez Stash for purchasing this item. Stash points are redeemable for exclusive rewards only available to Zumiez Stash members. To redeem your points check out the rewards catalog on thestash.zumiez.com. 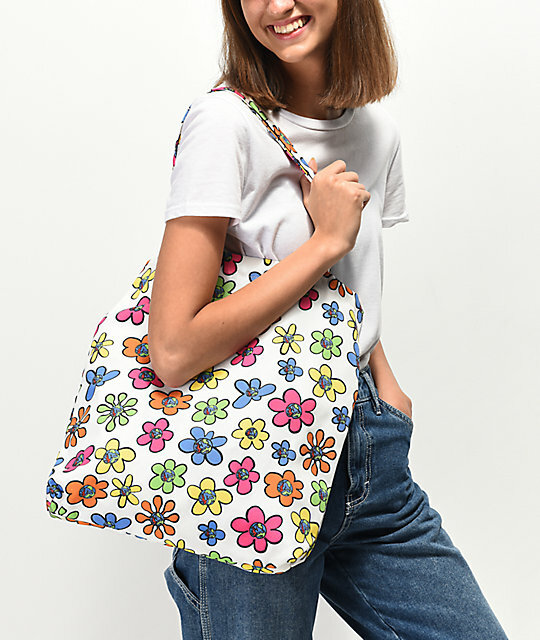 Carry around all your daily necessities in floral, skate-inspired fashion with the Teenage Floral Tote Bag. This mostly off-white tote features floral print throughout with Teenage's fractured planet earth graphic at the center of each flower for signature flair. 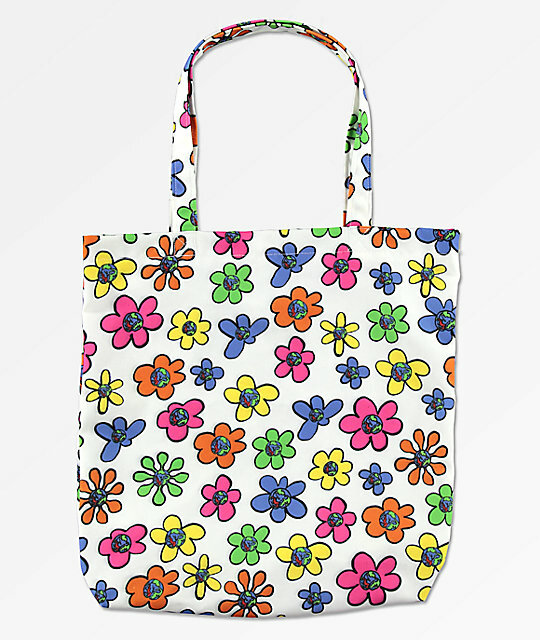 Floral Tote Bag from Teenage. Screen printed floral graphics throughout.